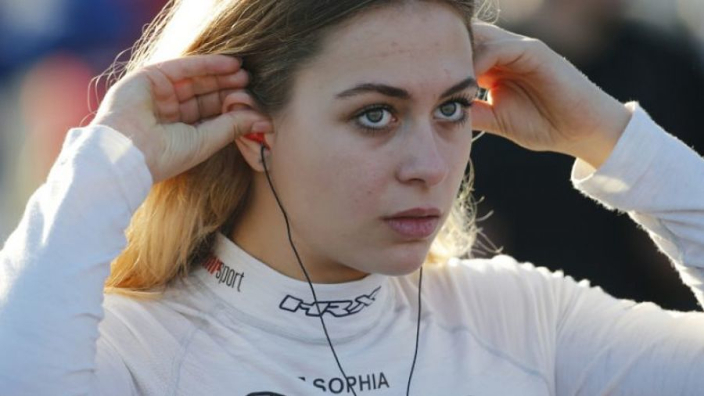 Sophia Floersch remains in surgery after suffering a spinal fracture in a terrifying crash during the Formula 3 race at the Macau Grand Prix. An update posted from the German drivers' social media account confirmed that the German has successfully undergone a first round of procedures. A tweet from her verified account read in German: "Live information: The medical team is working deliberately slowly to avoid risks. The first operation went well and without complications. The surgery that started this morning continues." Floersch was taken to hospital conscious and tweeted that she was "fine" shortly after an incident that had appeared much worse at first viewing. The 17-year-old slid out of control on the outside of track limits and appeared to be vaulted into the air as she passed back over kerbs, hitting Japanese driver Sho Tsuboi before slamming into the temporary structure that housed photographers and marshals. Tsuboi was discharged from hospital after treatment, while two photographers and one track marshal were also hospitalised. The FIA's president Jean Todt has vowed to launch an investigation into the matter, with Floersch having been sent airborne by kerbs that were installed for 2018's race.